For years, SpaceX and its billionaire founder Elon Musk have teased the coming of the most powerful rocket in operation: The triple-booster Falcon Heavy rocket. The beast of a launch vehicle was originally supposed to fly its demonstration flight in November but expected delays associated with other missions in the company’s manifest have pushed the launch to January. A test-fire of the rocket’s 27 Merlin engines was also targeted for the end of December but it seems that may be pushed to early January as well. Both the engine hold-down fire and launch will occur at Launch Complex 39A at NASA’s Kennedy Space Center which SpaceX has leased from the agency for 20 years. The pad helped SpaceX facilitate its best year yet with the company more than doubling its annual launch record and going nose-to-nose with the Russians for successful orbital missions. 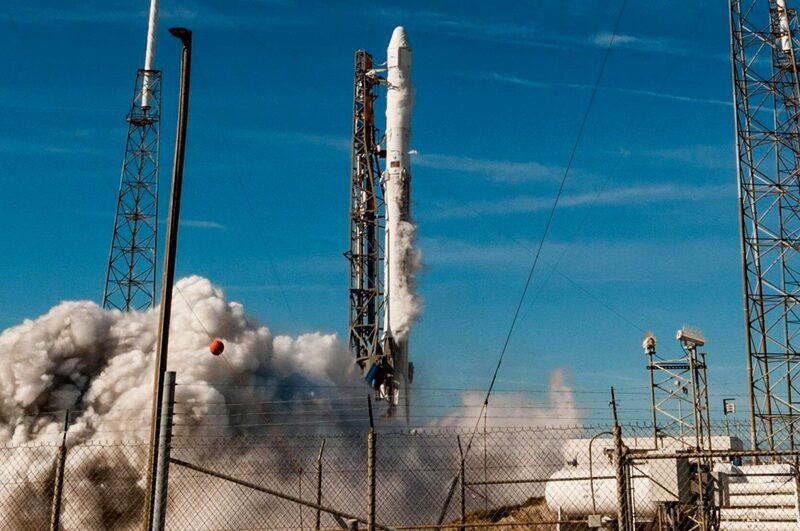 Pad 39A also saw the flight of the very first previously-used and recovered orbital rocket––SpaceX’s Falcon 9. Pad 39A is no stranger to history. 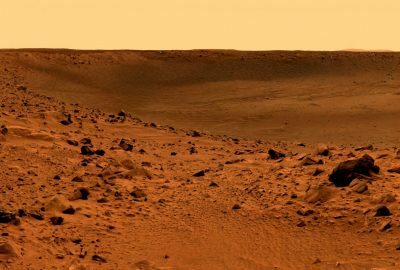 The facility was once used to loft Neil Armstrong and Buzz Aldrin atop a Saturn V rocket to walk on the moon and saw the flights of the Space Shuttle missions to assemble the International Space Station and place the Hubble telescope. Now that SpaceX has completed rebuilding Cape Canaveral’s Pad 40 next door, SpaceX has moved single-stick Falcon 9 launches over there while Pad 39A is prepped for Falcon Heavy. 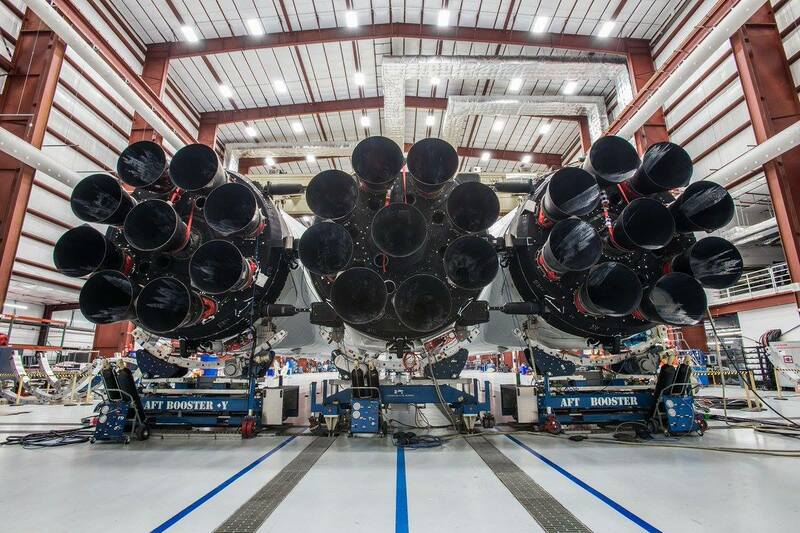 Elon Musk says “there’s a lot that could go wrong” during the Falcon Heavy test-flight, claiming that firing the heavy-lift rocket’s 27 engines will be complex. 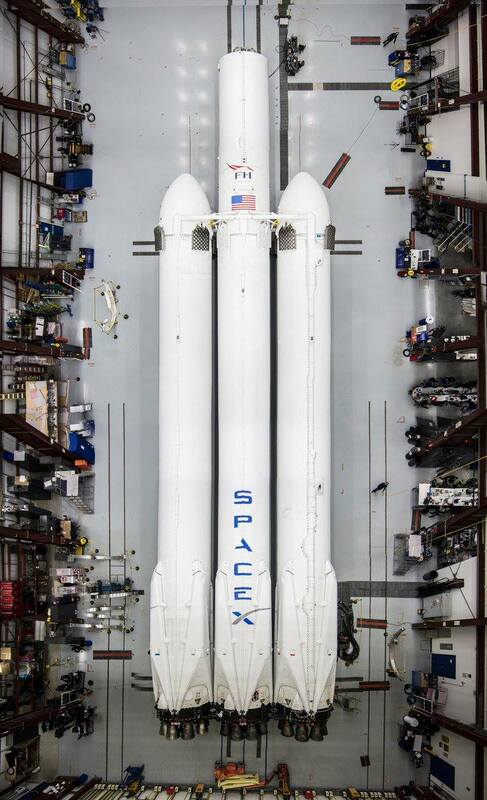 The Falcon Heavy has about 2.5 times more payload capacity than the company’s workhorse Falcon 9 rocket and could be used for massive deliveries to geostationary orbit, payloads to Mars or Europa, and crewed missions to lunar orbit. 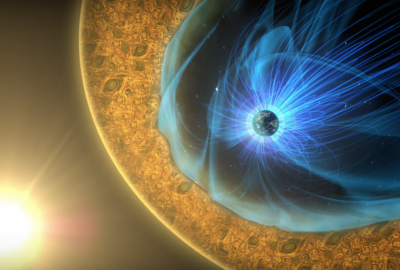 Last year, SpaceX announced that to two private citizens have paid deposits to fly stop the Heavy in a Dragon 2 spacecraft around the moon––the first time humans would do so since 1972. Musk added that the two customers would be “brave” for participating in the mission. 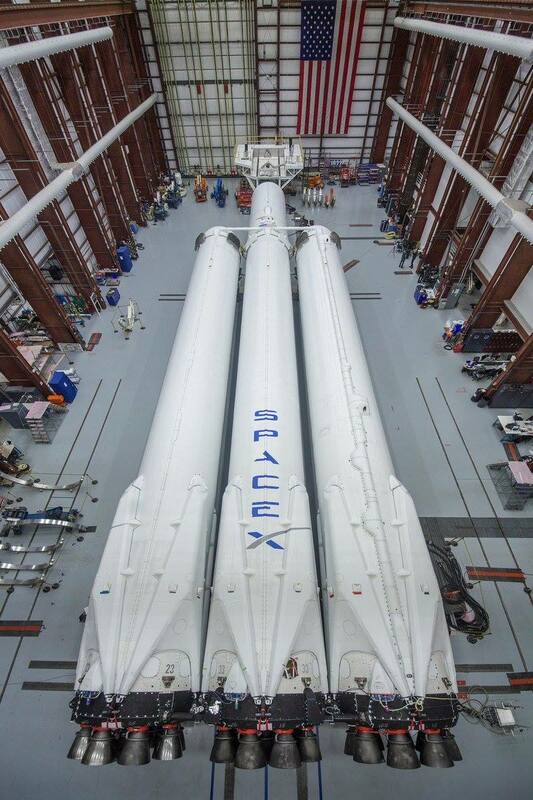 Following the very first launch of the Falcon Heavy from Kennedy Space Center, two of the boosters will be recovered on land by both oh them soaring through Florida’s skies for a touchdown at Landing Zone 1 and 2 at Cape Canaveral Air Force Station. The third booster will be recovered at sea atop the ‘Of Course I Still Love You’ autonomous drone ship.